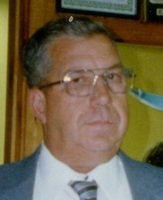 Sumner Edward "Noonie" Pinkham Jr. Provide comfort for the family of Sumner Pinkham with a meaningful gesture of sympathy. 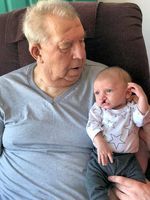 GLENBURN – Sumner “Noonie” E. Pinkham, Jr., 87, passed away on April 13, 2019 with his family by his side after a long, courageous battle after enduring a stroke. 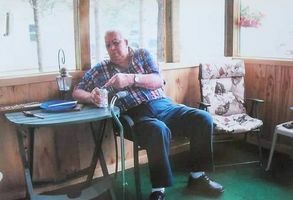 He was born on February 29, 1932 in Winterport to Sumner, Sr. and Julia (Clark) Pinkham. Sumner loved snowmobiling, and was member of the Sebasticook Snowmobile Club of Newport. In 1976 he helped build and start the Hungry Hollow 76ers of Levant. In 1997 he helped his son, Ed, start the Glenburn Lakeside Riders. His first love was his family. Sumner worked for H.D. Smith & Sons Case Tractor and then retired from the DOT in Bangor. 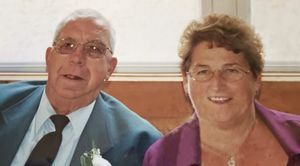 In addition to his wife of 62 years, Marion (Tozier) Pinkham; he is survived by his daughter, Brenda Pinkham; sons, Thomas Pinkham and partner, Michelle, Edward Pinkham and wife, Melissa; grandchildren, Tony “Chuck” Loring and wife, Danica, Tiffiani Pinkham and boyfriend, Burns Brown, Tyler Pinkham and girlfriend, Kayla Hornyak; and two special great-grandsons, Hunter and Watson. In addition to his parents and siblings Sumner was predeceased by his special granddaughter, Marissa Pinkham. The family would like to thank Beacon Hospice for the care they gave to Sumner. We encourage you to share your most beloved memories of Sumner here, so that the family and other loved ones can always see it. You can upload cherished photographs, or share your favorite stories, and can even comment on those shared by others.